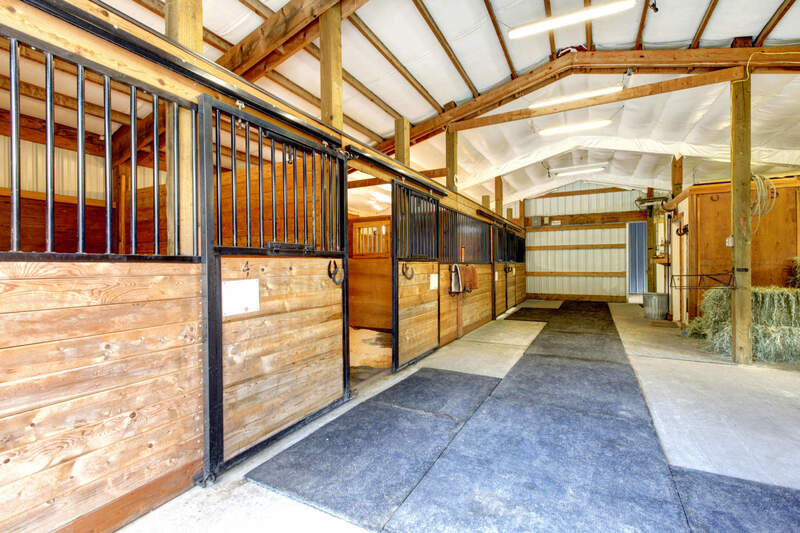 One of the most important elements of setting up a barn or horse facility is choosing the type of fencing for your property. Not only will you want to fence the perimeter of your property, but also individual pastures or turnouts. Determining the type of fencing that is appropriate for your situation can be cumbersome and challenging, but don’t fret! With a little assessment of your needs and fencing education, you can build the right set-up for your horses. Before investing in fencing, there are some things you should consider. Cost is obviously one of the major factors when building fencing. Since fencing is one of the larger expenses of setting up a horse farm, you should evaluate your budget up front and have a set amount that you’re willing to spend. Evaluate your “must-haves” now vs. “can do later” projects if the budget is tight. Along with the initial investment, you should also ask about maintenance expenses. If the care of a certain type of fence has a heavy cost in both time and materials, those considerations might put it beyond your reach, even if you can afford it initially. There are several different types of fencing to choose from – wooden boards, metal pipe, mesh, vinyl and PVC planks, high-tensile polymer (HTP), electric and barbed wire fencing. Each of these types of fencing has pros and cons; however, it’s industry knowledge that barbed wire should be avoided where horses are concerned because they can get seriously injured if they get tangled in it. Terrain and weather will also be factors in the material you choose, which many people forget to consider. If your pastures are prone to flooding, wood posts may not be the best option and metal the way to go. Areas with wide swings in temperature from very hot to very cold might not be the best areas for PVC because the material may become stressed and brittle, cracking over time and breaking if a horse puts too much pressure on it. No matter what type of fencing you’re looking at, you need to pick a height for the fence and decide on the width of the gates. The height of your fence will vary with the type of horses to be contained. Clearly, miniature horses can have a lower fence height, while warmbloods will need taller (and sturdier) fencing. Gates that are used solely to lead horses in and out should be a minimum of 4 feet wide. However, if you will be driving equipment through the gate, such as a truck, trailer, tractor, mower, etc., you must accommodate the width needed for those vehicles. Also, plan carefully as to which way you want the gate to swing! One of your biggest considerations should be the type of horses your fences will enclose. Appropriate fencing for two retired Quarter Horse broodmares will vary drastically from fencing for two young colts or a larger, spirited horse. The mares will more than likely happily get along with minimal and less resilient fencing as long as there is adequate forage, shade and water. The rambunctious colts or warmblood will most likely need a much more substantial fence and more safety considerations. What is the purpose for your pasture or turnout? Will you have horses grazing on lush grass or will this be a turnout for horses to burn off energy? Your fencing needs will vary dramatically depending on how you plan to use your enclosed area. Dependent upon the time of year, even grazing horses will put more pressure (literally) on your fence if the forage is limited, and fencing for small turnout paddocks may need to be sturdier and more imposing than fencing for large fields with more room to run. If you plan to practice tight rotational grazing, you will need two types of fence. One will be your “outer fence,” which should be sturdy and capable of containment. Your movable fence will, by its very nature, be less secure. Electronetting, or electric wire with metal posts that can be easily shifted, is one option but may not be safe enough for young horses. With young horses, simply rotating pastures and not doing strip grazing may be the best choice. 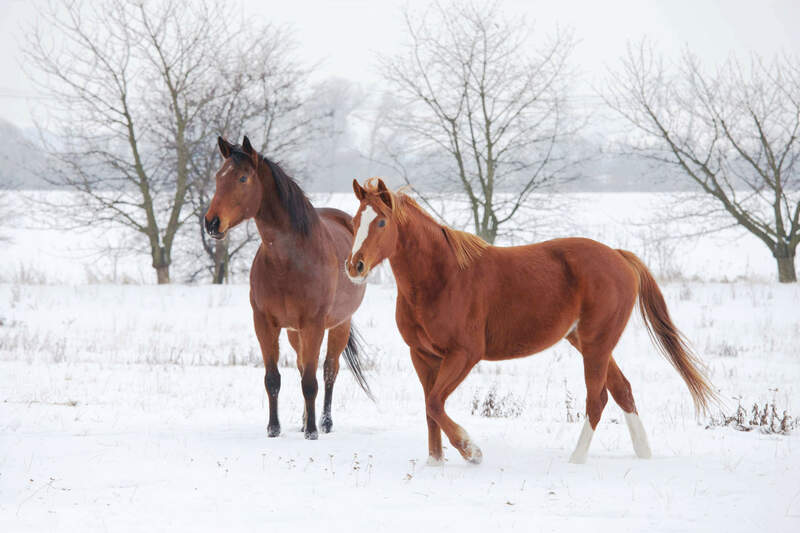 Other things to have on your list are gates (an often overlooked area) and whether or not you need to keep some animals out as well as others in – think predators, your neighbor’s yearling stallion or the young children or dogs from down the road. Some horse owners prefer to leave some space at the bottom of the fence so a rolling horse won’t get a leg caught, but be aware that it can leave an opening for wildlife. Keep in mind that strategically placed hot wires can help to discourage some predators from entering your pasture. Many horse owners find a combination of fencing is the best alternative. This is especially true if your facility already has some fencing up and you need to adapt it to your horses. For example, if you purchase a farm with small paddocks enclosed with wood fencing, you may end up putting a line of electric wire along the top or inside the wood boards, which will discourage horses chewing or leaning on boards to reach for the grass (that’s always greener!) on the other side. Consider all of the factors that are important to you, including the safety of your horses, and then ponder costs and how to have the best possible fence for the best price.